Wow, I wish I had seen this last week… but better late than never. 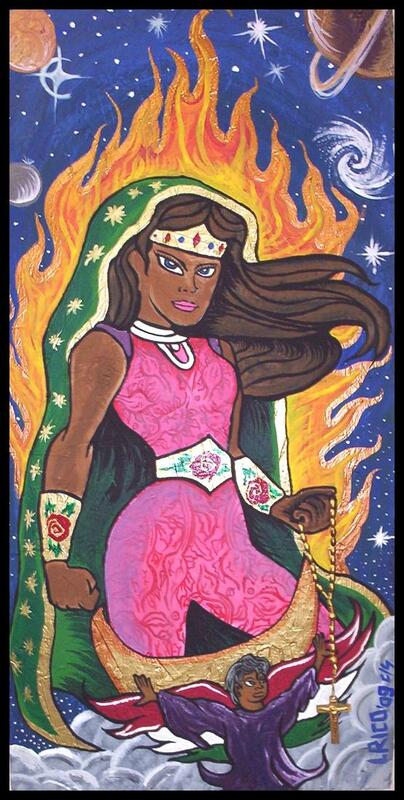 Illinois-born Mexican-American artist Israel Rico re-imagined Virgen de Guadalupe in terms of another female icon of the Americas. ← Contempt of… or for… Congress?